Oh my goodness! 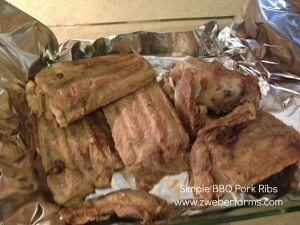 I just made the most amazing BBQ pork ribs EVER. Just ask Tim. 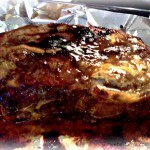 Of course my crock pot spare ribs are easy and delicious. 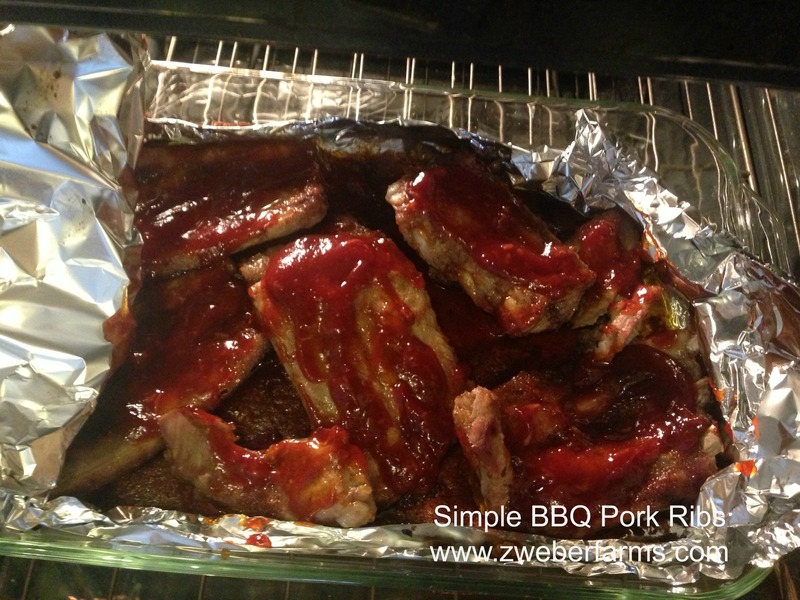 But these oven baked BBQ pork ribs will knock your socks off. So with out delay here is the recipe. Preheat oven to 325 degrees. 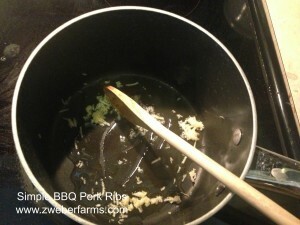 Boil ribs in water for 30 minutes. This tenderizes the meat and releases some of the fat. 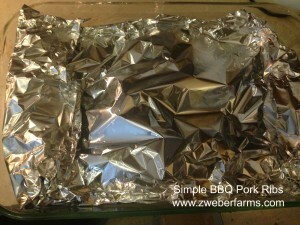 Line a 15 x11 glass baking dish with aluminum foil. 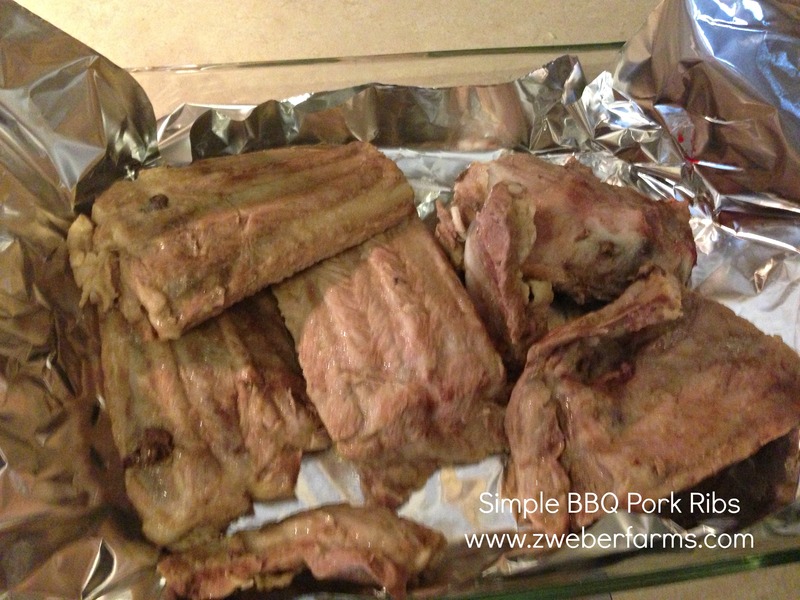 Place ribs in baking dish.Make sure there is plenty of room between them. You may need to use two dishes. 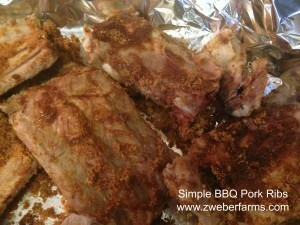 Mix all the rub ingredients together and divide the rub between the ribs pieces evenly. Makes sure to rub all sides of the rib pieces. 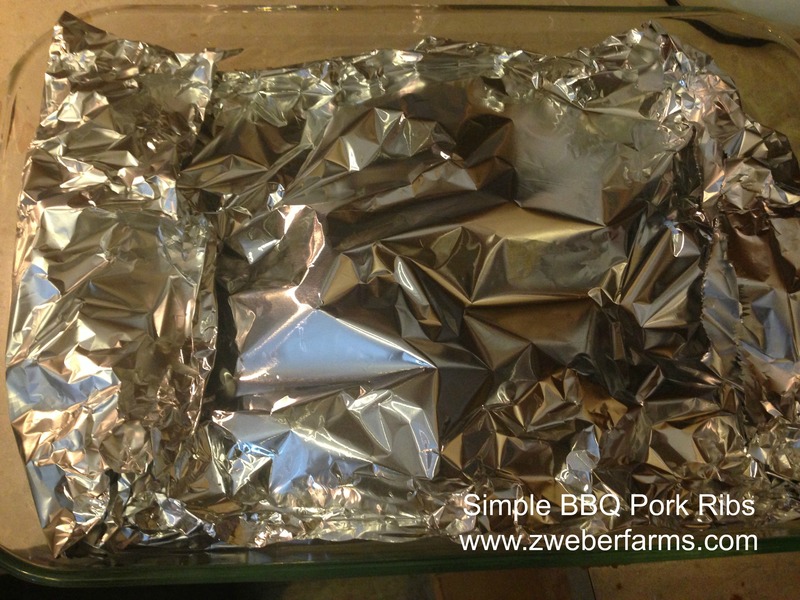 Cover the ribs with more aluminum foil. Crimp the sides together with the bottom foil to form a large pocket. 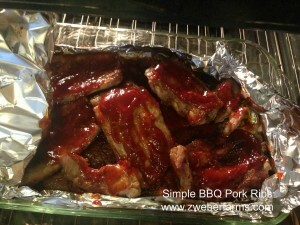 Bake the ribs for 90 minutes. While ribs are baking, make the BBQ sauce. Saute garlic in oil in sauce pan, until fragrant. 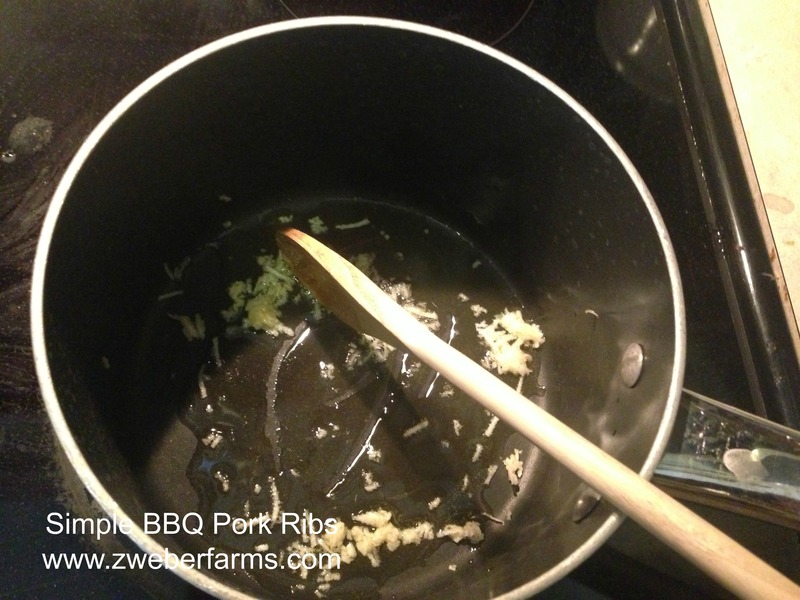 Add remaining ingredients and bring to soft boil. 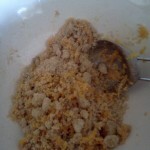 Boil and stir for a few minutes to thicken the mixture slightly. Take pan off heat and let cool. After ribs have baked for 90 minutes, smear BBQ sauce on ribs and recover. Let them cook an additional 30 minutes. 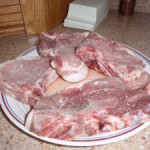 Do you think I could drain the ribs before adding the sauce? I’m trying to get rid of extra fat. Yes, if there is a lot of juice you will want to drain it. 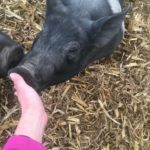 That will all depend on how much fat is in the pork. Thank you …. will try! Well -its me again. 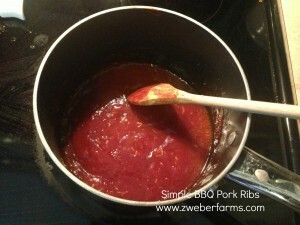 Make the ribs right now but just noticed there is no sugar at all in the sauce. 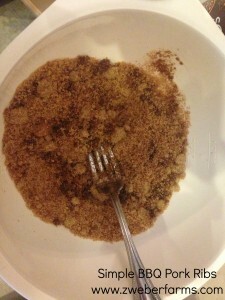 I’m used to sugar but wondering if I should add some or not. Will I miss it? No sugar in this recipe. 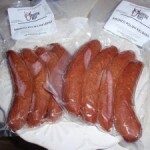 It will have more of a smoky taste, similar to a KC BBQ.